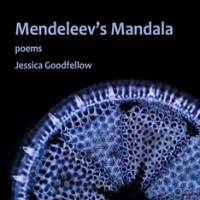 “Mendeleev’s Mandala” is the most recent collection of poetry from Kansai-based writer Jessica Goodfellow. Each poem encompasses more than a world in a grain of sand; there is a universe on every page of this slim tome. 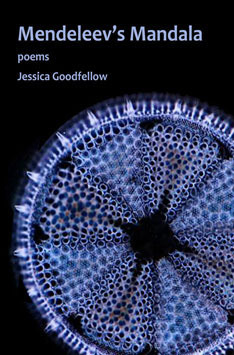 Goodfellow invokes everything from binary theorems to ancient literature, and most of the poems transcend a sense of physical space and are not specifically tied to Japan. A running theme of displacement and reconsidering boundaries is the only commonality within these widely varied poems. Goodfellow opens with “The Problem with Pilgrims” and ends with “6.015Random N6umber Tab8le” stopping off at all points in-between and playing deft games with language along the way. I only read half-way through this universe before I stopped to order three more copies from Mayapple Press for friends. It is that kind of book, inspiring a cosmic infinitude of admiration.